In April 1981, Sporting News announced that baseball historian Pete Palmer had discovered the American League office had double-counted a two-hit game by Ty Cobb in 1910, and thus contended that Cobb’s career hit record be revised to 4,189, from the well-known total of 4,191. The source of the discrepancy was the disputed 1910 AL batting race. Napoleon Lajoie and Ty Cobb were in a dead heat for the title that year. On the last day of the season, an opposing manager who hated Cobb, ordered his third baseman to play deep; allowing Lajoie to easily beat out bunts, giving him a 6-6 batting line, therefore denying Cobb the coveted batting title. AL president Ban Johnson unilaterally decided it was cheating, and gave Cobb a statistical double-count from a game he went 2-3, raising his batting average from .383 to .385, and edging Lajoie. In response, with baseball preparing to promote Pete Rose’s pursuit of Cobb’s mark, Commissioner Bowie Kuhn announced, “The passage of 70 years, in our judgement, constitutes a certain statute of limitation as to recognizing any [statistical] changes.” MLB decreed Pete Palmer’s correction to be officially ignored. The issue was then passed to Elias Sports Bureau; the NL’s official record keeper since 1918, and the AL’s since WW2. In 2004, Trent McCotter was looking through Babe Ruth’s 1926 official sheets when he noticed that some late-season games credited him with home runs but no runs batted in. Apparently the scorer in St. Louis for the final six weeks, did not know what an R.B.I. was, and for every player he put either runs scored or some other variant in the ledger. McCotter contended that Ruth led the American League with 150 R.B.I., not 146. Today, every baseball stat tracker recognizes the correction of Ruth’s 1926 RBI total to 150, except MLB. In reality, Pete Rose actually broke Cobb’s record on September 9th, 1985, when he got hits 4,190 and 4,191. 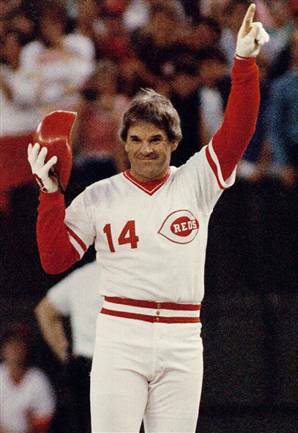 In 1989, evidence was released to the public, proving the bat Pete Rose used on Sept. 11 1985, as well as the ball he hit, and the red corvette he received from MLB; all had been sold to bookies to cover gambling debts. Incidentally, this correction lowers Cobb’s career batting average to .366. MLB still lists it at .367. Eddie Collins’ HoF plaque says he collected 3,313 hits from 1906 to 1930, but the record-keeper accidentally switched one game of Collins’ statistics with those of his teammate Buck Weaver, so he actually had 3115. MLB.com credits him with 3114. 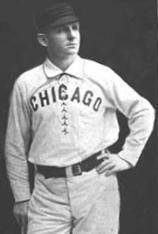 Different sources list Cap Anson’s career hit total as: 3,435 (Baseball-Reference), 3,418 (Fangraphs), 3,081 (National Baseball Hall of Fame, which uses statistics verified by the Elias Sports Bureau), and 3,011 (MLB, which also uses Elias [?]). Part of the controversy over Anson’s hits total has to do with his five years in the National Association (NA), where he collected 423 hits, mostly with the Philadelphia Athletics. Major League Baseball does not recognize the National Association (1871-1875) as a true major league. The evolution of Cap Anson’s career hit total provides an illustration into bourgeois political expediency, the pesky nature of facts, and the return of history. In 1914, newspaper accounts chronicling the pursuit of 3,000 hits by Honus Wagner and Nap Lajoie, there was much contention over exactly how many hits Cap Anson had amassed. His career was set entirely in the 19th century, and baseball statistical accounting had been notoriously unreliable in that era. Because it has everything to do with being honest about history and ourselves. It’s about questioning sacred institutions and traditions, out of greater respect for the truth. No player is above the game, and no game is above the truth. It’s about history being written by the winners, and what winning really means in the real world. Often it is an ugly thing to “win.” We have too many examples thrown in our faces every day. If we are rational adults, we can look at the history written by past winners, and make revisions in the name of historical truth. When sacred records and idols fall under the millstone of history, which grinds slowly but exceedingly fine; we cast off illusions and see things more clearly, as they really are. In the process, we become wiser and more human.